As you can guess from the title of my blog, I am a forty something first time mum. I’m actually an Irish Mammy albeit a modern Irish mammy and not the kind that Brendan O Carroll’s portrays in his series, Mrs Browns Boys. That is something I can only aspire to! Here in Ireland 'Mammy' or ''Ma are terms we use most frequently but 'Mum', 'Mom' 'mummy' are all acceptable too. I don’t mind what I’m called as long as it’s not ‘geriatric Mum’ which is a term I have heard a few times since I had my child!. I’ve also been told that I am, what is referred to in medical speak an ‘ Elderly Primigravida’ a woman who has a child for the first time over the age of 35. I thought ‘elderly’ meant you were well past middle age and approaching your twilight years. Apparently this is not the case for people like me! 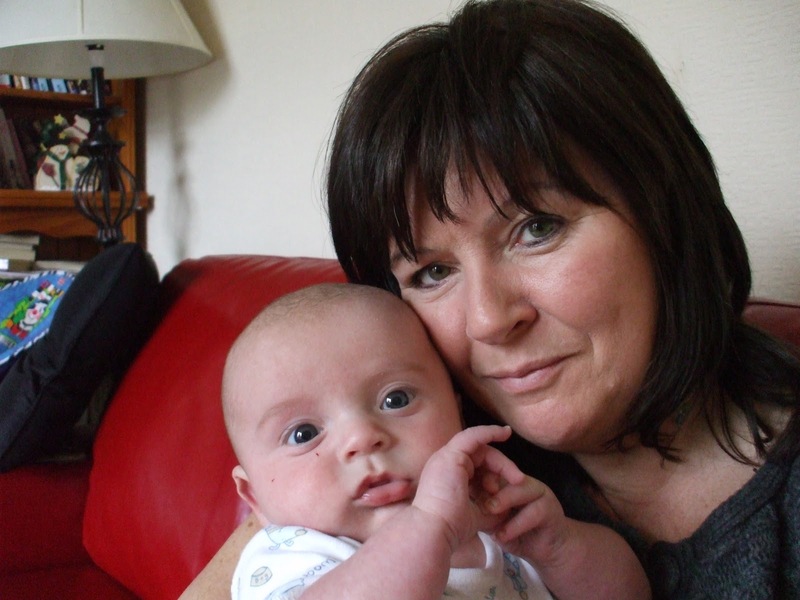 I decided to write this blog back in 2010 to reach out to other older first time mums and to indulge my love of writing which I have always found therapeutic. It can be a lonely business being a forty something first time mum. When your child is a toddler and not at preschool, you don’t meet many other mums. Many of my friends had much older children and were at a different stage of parenthood than I was. At a mother and toddler group that I had reluctantly ventured in to for some company, someone kindly pointed this out to me. When the group facilitator asked me if I was my two year old son's mother or 'nana' (grandmother),I vividly remember all eyes turning to look at me. I can recall clearly how my spirits dropped and I realised that I was at least ten years older than the other mothers there. I had thought that I looked young for my forty four years but the very posing of that question from the facilitator, and the youth of the other mothers dashed my illusions. My little boy didn’t seem to want to join in with the group activities (how's that for solidarity) and in light of how I then felt, I took it as a sign not to return. I knew that being part of a group that looked upon me as the oldie wouldn’t help with my increasing loneliness. I married at the age of 34 and I still wasn't that interested in having children. My husband didn’t seem to mind and even said that he thought we were too immature to have children. We both had decent full time jobs and enjoyed going away, drinking and going out for meals. I didn't believe in the biological clock or that it would ever tick for me. How wrong I was! When I suddenly started to take a big interest in my nieces and nephews, everyone was surprised. Although I loved them, I really hadn’t connected with them that much up until I hit my late thirties. My brothers had never asked me to babysit much and everyone said I preferred animals to kids. I guess, in hindsight, it would have seemed that way, but deep down I think I was just trying to avoid the whole issue. I had so many issues around childbirth and motherhood; it pains me to think of it now. I really started to feel I wanted and needed a child and my husband felt the same. We tried, but unfortunately nothing happened for a long time. Then I had my first miscarriage. I didn't even realise that was what it was at the time. I was basically ignorant when it came to pregnancy knowledge, having pushed the subject away for so long. Time went on and I hit the age of forty. I thought I should forget about the whole idea. By that stage I felt that it was probably my own fault that I could not conceive. I had spent the best part of 38 years saying I did not want children. Now it seemed as if my body was responding in kind. I felt as if I had willed it into not wanting them and it was just complying with my wishes. I remember someone saying to me at that time, that since I was forty, I might as well face the fact I would never have kids. I was sad but decided to get on with life and not think about it anymore. I had succeeded in pushing the idea out of my life before so I would just do it again. Parenthood is not the path for everyone and it is not in everyone's life journey. I thought that was probably the case with me. I went part time in my day job and set up my own dog walking and pet sitting business and felt, for the most part content with my life. Then, it happened! I was pregnant! I was 41 years of age and pregnant! I was over three months into it and I hadn’t realised. One day I was out driving and the smell of petrol fumes made me feel nauseous. I had lost track of my cycle because I had put the whole idea out of my mind and I had not felt sick before and had no other symptoms.in fact, I felt terrific, with boundless energy. When the test came up positive, I did two more tests just to be sure and the result was the same. Positive. Positive. Positive! When I shared my news, there were different reactions. I had thought everyone would be positive and happy but this wasn’t always the case. One urged me to think long and hard about it and another suggested I have all manner of tests done because of my age. I went for some private counselling just to be sure it was something both of us could handle. We then decided that we would forego the tests and just accept whatever and whoever was sent to us. I just knew then, that even if those tests had showed up any abnormalities we were ready for it. Thankfully, all was perfect and in November 2007 our beautiful son was born. It really was the best day of my life! Now I knew what people meant when they said that. In past times I had often secretly sneered when I heard people say that it was their happiest time ever. If I had known before what I found out that day and what I know now, I would have tried to have children a lot earlier. I realise now that even if it did cause me to be trapped, that having a child is a wonderful, beautiful blessing. In fact, parenthood has not trapped or frightened me in any way. So far, it is a bonus and an enhancement to my life and I think I can speak for my husband there too. Since then, I have wanted another child really badly. I had and still have a longing for that. I also wanted it for my little son. I would like him to have a sibling so that he has company at home. I would like him to have a sibling so having older parents won't be a burden to him in later life. I would like him to have a sibling for so many reasons. We tried to do that for him but sadly I had miscarriages at age 43 and 44. I was so excited that I made plans and carried on even though I was warned by the doctor about the statistics of miscarriage in women my age. I was devastated with the realisation that as time went on, the chances were less and less. And now, here I am, aged almost 48 and with one precious child, a six year old most appreciated son. We are so so so thankful for him and I am so grateful my body clock ticked loudly and woke me up before it really was too late. My one and only regret is that I could not give my precious boy a sibling because of the choices I made in life. Choices I made because I was afraid, afraid of being trapped, afraid of not being good enough to do a good job, afraid of so many things that never transpired. In my wildest dreams, I never thought I would become a forty something first timemum but I did and I am. Bravo!!! What a compelling and heart-warming piece. It's from the heart, to other mom's and mom's to be at any age. Things happen when it's best for them to happen. You weren't ready for your child before 41 and that's perfectly ok. I know that my husband and I were completely ready for whatever our baby threw at us (literally and figuratively) when we had him, before we did we were selfish and perfectly happy as a couple which was ok too. I imagine you and your husband were the same way. To parenting. And, by the way, don't have another for the sake of a sibling, another will happen if you're all ready for him/her. Thanks for the post Sarah. We really would love another child and we are ready and waiting. It would be great for my son as well. However, I think at 44 it may be too late. But then again, look at Cherie Blair the ex British Prime Ministers wife. She was 45. There are many examples so who knows! Watch this space.. Or should I say, watch this blog!! As you said yourself Liz, it's never too late! If it's meant to happen, it will. Such a lovely featue - it's funny to think that as women (who want it all), we are probably thinking the same things! Congrats on your baby! Loved your story! I have few friends who don't want kids or are not ready for them and my heart cries out but unfortunately they would never understand "us" (moms) what it means to see smile of your baby! You are so right Danka. I am so glad I found out before it was too late! Lorna, I love your story. I think it's great to adopt also. The very best of luck with it. All good things are worth waiting for, and what could possibly be more worth waiting for than your beautiful little boy? You had him when you and your hubby were truly ready, and I think that can only make you better, more appreciative parents. Our daughter and her husband say they don't want children. They enjoy all their nieces and nephews, but they're too busy having fun to want to get slowed down by a baby. They're afraid they'd resent a child for keeping them from traveling and doing some of the other things they like to do. She says if they change their mind and she's too old to conceive, they'll adopt. I know she'd make a wonderful mother, but I have to respect her decision. Her life, her decision. Well written, Claire! You've truly blossomed in your blogging. Love the photo of your son mixing up something. He's such a cutie and blessed to have you for his mother. Very wise of you to have changed eating habits, have exercise programs, and stay up to date with what the younger parents are up to. I agree with Donna, Claire! Your story is so well written. I traveled along with you through each phase of your life and visualized it all. Life is so unpredictable. No matter how well we plan it, it rarely ends up exactly the way we want it... sometimes, not even close. I'm 56 now, and have learned over the last 8 years that people change. I used to tell my husband that I didn't like certain things or that I've never let my children do certain things, and now I'm having to try to explain why I feel differently. It is a lesson for me to not be adamant about anything. I think I went off topic a little, but regarding your situation, I just want to compliment you on being a loving person, who for some reason, was "chosen" to by your son's mom. And as a fellow In Season Mom on Cynthia's blog, we will do our best to be around for our children. Your mom is right -- there are no guarantees for any parent, so we shouldn't compare and worry. Happy New Year and thanks for your visits to my blog. Your email address is not identified on your blog, otherwise, I'd answer your comments with a personal response. Either way, I love hearing from you! Mostly, I've come back to say thanks for including the pictures in this post! InSeason Mom Anita, you know I appreciate your support, thanks for the mention. Claire, thanks for your heartfelt testimony. Although I don’t understand the whys for many things, I believe that you are operating in your God-given season of motherhood, which is not the same for everybody. I’m happy our paths crossed as we embraced this blessed “first-time mom over 40” journey! Lovely to see your post. 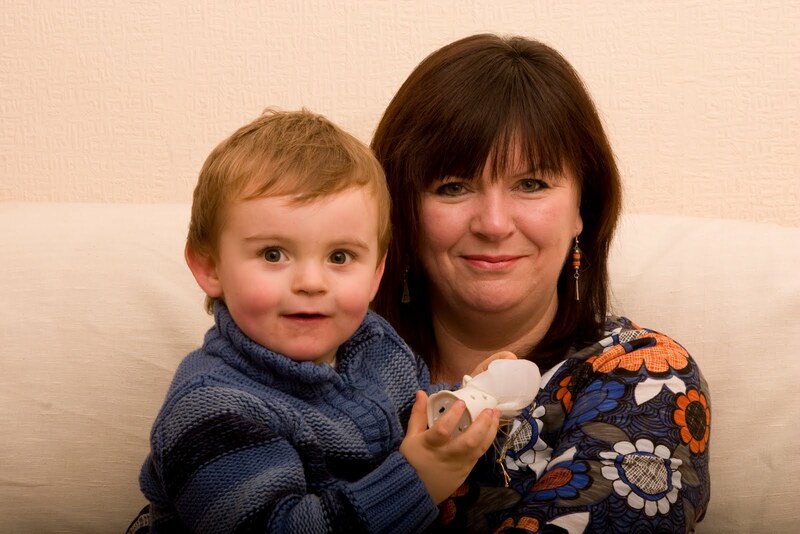 i became a mum when i was 39 years. it wasn't out of choice though. We battled male infertility for almost 10 years and at last did ICSI and i got pregnant. It was a hard journey.